OOH FANCY THAT: .. marc jacobs collection handbags ..
.. marc jacobs collection handbags .. 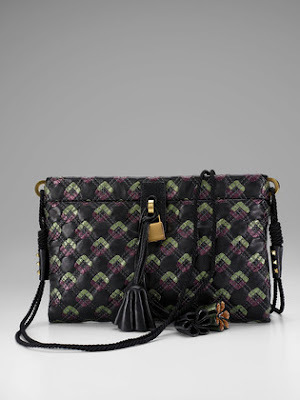 It's the Python Robert Katy shoulder bag made of python with leather throughout. It retails for $2150, but Gilt is selling it for $1,299. That's quite a discount, but still the price is steep! The regular Robert Katy bag made of leather is going for $399, while the retail price was listed at $995. This one is made of leather only. Much more affordable, but unfortunately they've sold out on this one. Heh, knowing me though, I'd much rather spend the money on an amazing meal. Damn, food wins again.